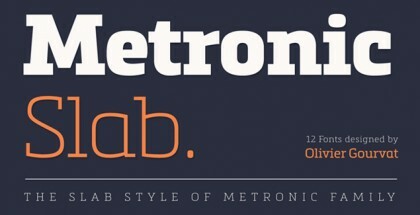 As the name suggests, Sherlock font is designed with the thought of the mysterious. Just like the man to whom it is named after – the famous detective Sherlock Holmes, it leads us thru many twists and turns but always to the right result. 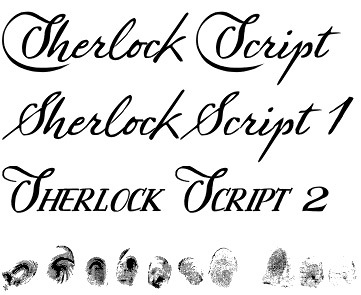 Sherlock font has a very artistic look which is achieved through the great variety of form it employs. 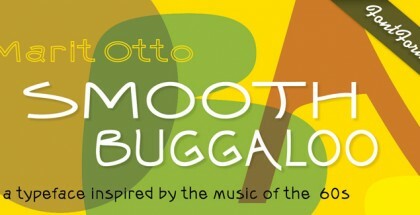 The typeface features none less than 7 different capital letters, some adorned with splashes and underlined swings as well as vast number of ligatures, lowercase letters and a set of old-style-numbers. It comes with language support for all European and some Non European languages. Sherlock font is designed in two versions – the Pro one with its 807 glyphs and extensive language support is perfect for users with in depth knowledge of using all kinds of OpenType Features and have the means to use them. The Normal one comes in 10 files which will allow everybody to take advantage of all types of variations the font has to offer. 1 to 7 are various versions of the script designed as single fonts – 1 is the normal type, 2 are old style ciphers together with small caps and alternate capitals, 3 to 7 are different types of capitals and lowercase letters which vary, depending on under-strokes and swings used. Then Sherlock Stuff 1-3 are three different adornments – dots, lines and fingerprints. Sherlock font is created by the German designer Gert Wiescher, who has decades of experience in the field of graphic design. He has worked with some of the most famous companies and brands and is the author of many fonts such as: Supra Mezzo font, Bodoni Classic Pro font, Futura Classic font, Bodoni Classic Swashes, Flourishes A, etc. Get Sherlock font and enjoy the mystery of life!